Would a MOOC work for you? Massive Open Online Courses (MOOCs) have been around for over five years now and still appear to be growing in popularity. Most MOOC offerings are free to view and offer a wealth of learning, in a very diverse range of subjects. From art to atoms, history to social media, if you look long enough you will find a course that may interest you. Sign up and start studying! Most MOOCs make use of video, sometimes in a lecture format to get their key learning points across. Other learning activities are also provided such as quizzes and discussion forums. As well as the online discussion, some set up Facebook groups making the learning experience more social. No one knows how old you are in a MOOC, and often the voice of experience can add some real perspectives to some of the discussions. There are three large MOOC providers; Coursera, edX and FutureLearn, who partner with Universities from around the world to provide high-quality learning experiences. They all have course catalogues to search to find a subject that interests you. What’s the catch? Whenever I see ‘free’ I wonder what’s happening! Universities can raise their public profile, potentially get new students, but hopefully they are building these courses to provide the community service and engagement that they consider as one of their three main pillars alongside teaching and research. 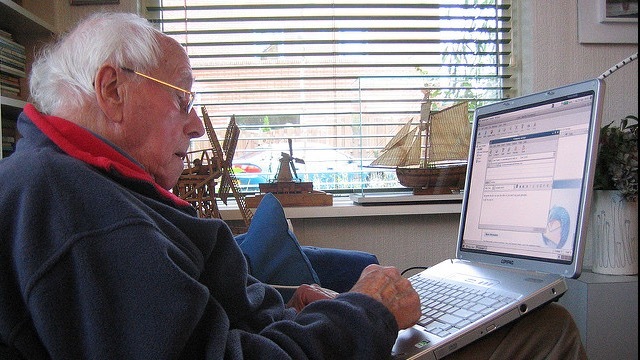 The following two links are brief articles about seniors studying online using MOOCs. So, crank up your computer or iPad and have a look online. You might find a whole new world of learning out there, and as you already know… It’s never too late to learn!